Did you know that in 2015 JCC Krakow had over 80,000 visitors? This included over 160 groups from all over United States, Canada, Israel, UK, Germany, France, Turkey, Sweden, Australia, Hungary, and the Czech Republic! JCC Krakow offers several programs for everyone to experience Jewish life in Krakow. Join Ride For The Living, visit with your synagogue or JCC for an evening of activities, take part in an educational talk, or join Shabbat dinner. See a list of JCC Krakow activities below on how you can get involved with the community and learn about Jewish revival in Poland. Are You Looking For a Challenge And a Meaningful Jewish Experience? Sign Up For The 2016 Ride For The Living! Ride For The Living is a 55 mile bicycle ride that begins at Auschwitz-Birkenau and finishes at JCC Krakow. The idea behind this transformative and one-of-a-kind experience is to start from a place of remembrance and end in a place of hope - the future of the Jewish community in Krakow. This bike ride is a great way for you to have a meaningful Jewish experience and connect with the Jewish community in Krakow - a community that exists despite all odds. The 2016 Ride will be on Friday, June 3rd with programming from the afternoon of Thursday, June 2nd through the afternoon of Sunday, June 5th. Besides the challenging, inspirational Ride itself, the weekend includes a tour of Auschwitz-Birkenau, Shabbat dinner with the Jewish Community of Krakow, and participation in the JDC + JCC Krakow program 7@Nite – Night of the Synagogues as well as other Ride For The Living events. Questions? Email JCC Krakow at office@jcckrakow.org. Is Your Group Planning a Trip to Poland? Choose An Activity And Get To Know Our Community! Is your group looking for a meaningful Jewish experience in Krakow? Join the JCC for a meeting, event, or hands-on activity with our members, staff, and volunteers! You can choose one or more of the following programs: meeting with a survivor from the JCC Krakow community to learn about their experience during the war, talk with a student who recently found out about their Jewish roots, meeting with non-Jewish volunteers who dedicate their time to help rebuild Krakow's Jewish Community, and many more! The JCC also offers additional programming, such as, tours, Shabbat dinner, culinary workshops, genealogical consultations, and kosher catering. Email JCC Krakow at office@jcckrakow.org to arrange your group activities. Stop By For an Educational Talk or Workshop! Are you or someone you know coming to visit Krakow this month? If so, tell them to join JCC Krakow's new educational workshop program for visitors! They are hosting three events each month for Krakow's tourists to learn about Jewish life Poland. This month you can learn about Jewish revival in Poland, hear the life story of one of the survivors, or take a pierogi cooking class. For more information see the brochure and don't forget to pass it along to your friends and family! Email JCC Krakow at office@jcckrakow.org to sign up for February programming. The Russians’ arrival in Auschwitz on January 27, 1945 meant that Marcel Zielinski was free. But the 10-year-old’s mother and father had already departed the concentration camp on a forced march while children and sick prisoners were left behind. So with a group of children and teenagers, most older than him, Zielinski walked Krakow to search for his parents and his old home. On Friday, the 80-year-old Zielinski embarked on the journey from Auschwitz to Krakow once again, this time on a bicycle and accompanied by his son and two granddaughters. Seventy years after he set out on foot from a camp set up to exterminate the Jews of Europe, he and about 85 others were taking part in the second annual Ride for the Living. Organized by the Jewish Community Center of Krakow, the event is about remembering the darkest period of Jewish history in Poland, but also about celebrating the growth of a young community now flourishing in Krakow and across the country. “I think it’s really miraculous what’s going on in Krakow,” said Jonathan Ornstein, who has been the executive director of the JCC in Krakow since it opened in 2008. “Young people are finding out that they have Jewish roots” that their families hid during the communist era that followed World War II. They are “choosing to get involved, to build this Jewish future” with others who grew up in Poland but only recently discovered their background, along with some Jews, like Ornstein, who grew up elsewhere and decided to move to Poland. The Ride for the Living was inspired by one such English man, Robert Desmond, who met a Polish woman, fell in love and moved to Poland. Instead of flying, he decided to ride his bike from London to Auschwitz. Along the roughly 1,350-mile route through Western Europe and into Poland, he stopped at various sites commemorating World War II and the Holocaust, ending his ride at the ultimate symbol of Jewish destruction at the hands of the Nazis: Auschwitz. So the JCC organized the inaugural Ride for the Living last June, with a small group of about 15 participants. Designed as a fundraiser, the JCC put the money from the 2014 ride toward a visit to Israel for 30 child survivors in its community. The success of the first ride convinced Ornstein and his colleagues to make it an annual event. Zielinski, an avid cyclist who lives now in Montreal and spends winters in Florida, knew he had to take part when he heard about the second ride. He’s the only survivor to have participated in the cycling portion of the event, a roughly 55-mile trip. Zielinski grew up an only child in Krakow. He had spent the war—which spanned more than half his life by the time he was liberated—living in a ghetto in Krakow until it was liquidated; doing slave labor at the nearby Plaszow concentration camp until it, too, was closed; and toiling at Auschwitz-Birkenau with a number on his arm. His father was in the same camp, and his mother, who arrived on a separate transport, was put in a different camp in Birkenau, where Zielinski could occasionally see her from across the fence and road that separated them. After the camp’s liberation, Zielinski walked to Krakow, where the family living in his old home told him his parents had not yet returned from the forced march, the Nazis’ last-ditch effort to move their prisoners ahead of the advancing Russian Army. The 10-year-old ended up in an orphanage run by a Jewish committee, where his mother found him in August 1945. Zielinski would never see his father again. Zielinski and his mother moved to a small town in southwestern Poland, near the borders of Germany and then-Czechoslovakia, and later to the larger city of Wroclaw. “As far as I can remember, I was always attracted to a bicycle,” Zielinski told Newsweek on the phone from Montreal the day before he left for Poland. “As a young teenager I rode a bike in Poland, and I rode it competitively for a while” in the mid-1950s, before he had to stop and focus on his engineering studies. Zielinski got married to Maryla in 1957 and the following year immigrated with her to Israel, where he worked overhauling military and sometimes civilian planes, and in 1967 to Canada, where he continued working in the aerospace industry. “From 1958 to 1980 we were busy smoking,” he jokes, explaining the disappearance of physical activity from his life after cycling as a teenager in Poland. In 1980, he and his wife both quit smoking and began running. Five years and thousands of miles later (including a marathon), Zielinski returned to his bicycle. He had returned to Poland for the first time in 2007 with his wife and son, Betzalel. “Initially it was very difficult for me to think about going back, [but] in 2007 I decided to face my past,” he says. He was anxious, especially about returning to Auschwitz, which unlike the ghetto or Plaszow is still recognizable. “Seeing the camp itself with the sign ‘Arbeit Macht Frei.’... It’s a bone-chilling experience,” he says. Other tourists in their group quickly realized he was a survivor and began taking pictures, intensifying the moment. 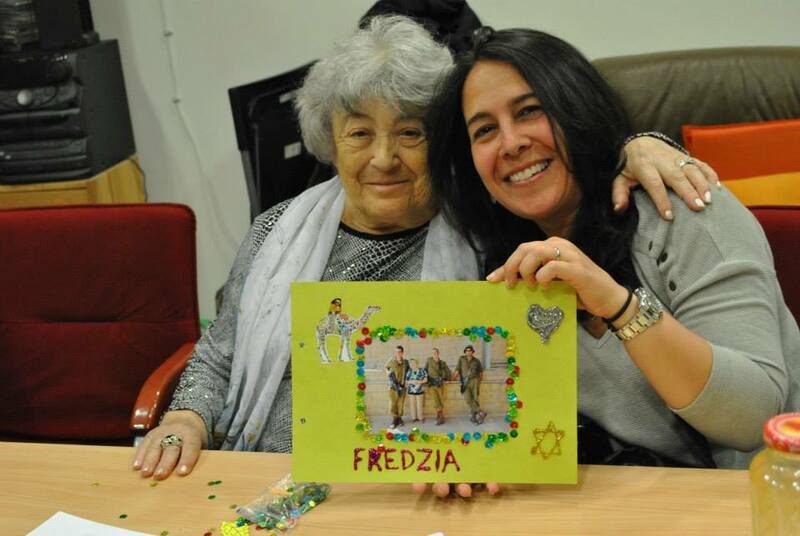 This time around, his son and two granddaughters, 31 and 27, will be with him, and they’ll all get to see the growing Jewish community in Krakow (the JCC was established the year after Zielinski’s 2007 visit) in addition to the camps. Because so much of the Holocaust happened on Polish soil, there can be a tendency by those on the outside to equate the country with Jewish death and destruction. Tourists and groups travel to Poland to visit Auschwitz, Auschwitz-Birkenau and other Holocaust sites, but sometimes overlook the budding Jewish community that began to appear after the fall of communism and is blossoming with recent milestones like the establishment of the JCC. Befitting the ride’s underlying idea, participants were to join JCC Krakow’s weekly Shabbat dinner shortly after cycling into the city Friday. On Saturday, after havdalah (the ceremony that signals the end of the sabbath), they are invited to the fifth annual 7@Nite Festival. A partnership between the JCC Krakow and the American Jewish Joint Distribution Committee, the event opens to the public the seven pre-war synagogues in the former Jewish quarter of Kazimierz with a slew of performances and art. The ride may have started with a tour of Auschwitz on Thursday and a ceremony at Birkenau just before setting off, but it ends with music, art and thousands of Jews and non-Jews alike celebrating a thriving new community and culture.